A chilly, rainy day in Munich left us feeling extra tired after two weeks of driving. 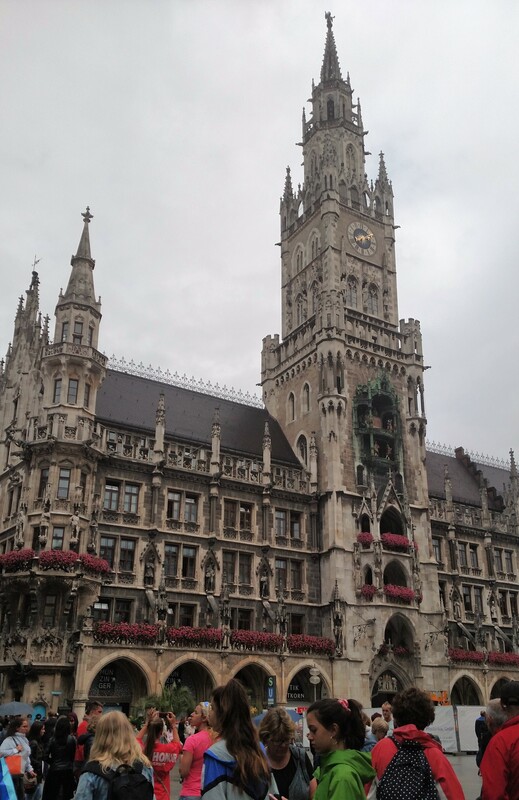 But the weather was the perfect backdrop for a Marienplatz visit. 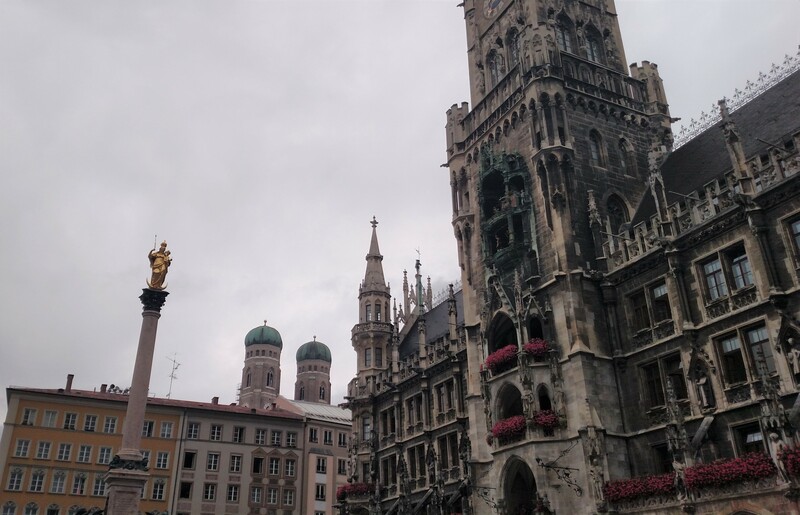 Though it was a brief and cold, stop, visiting Munich’s main square was a quiet way to end our trip. Busy, busy square…FYI, there is FREE WI-FI here!! Marensäule (St. Mary’s Column) sits at the center of the square. The golden part is of the Virgin Mary on a crescent moon. The two green dome columns are of the Munich Cathedral (called “Frauenkirche” by locals). Dragons! The architecture is incredible!! 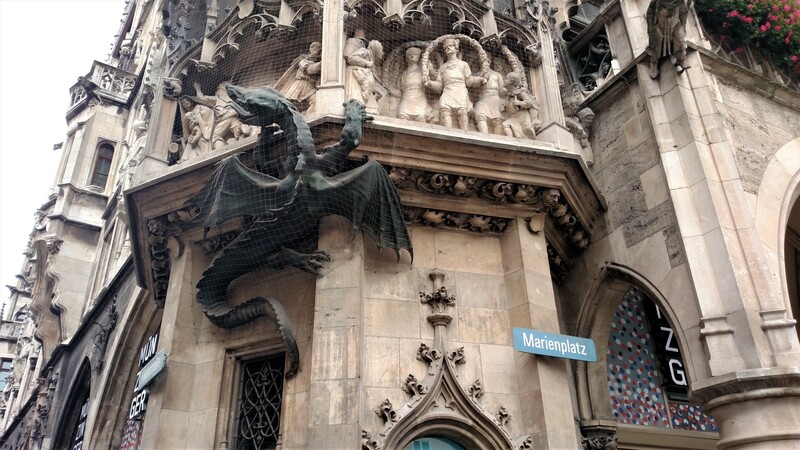 Inside the Marienplatz building…feels like we just traveled back in time. 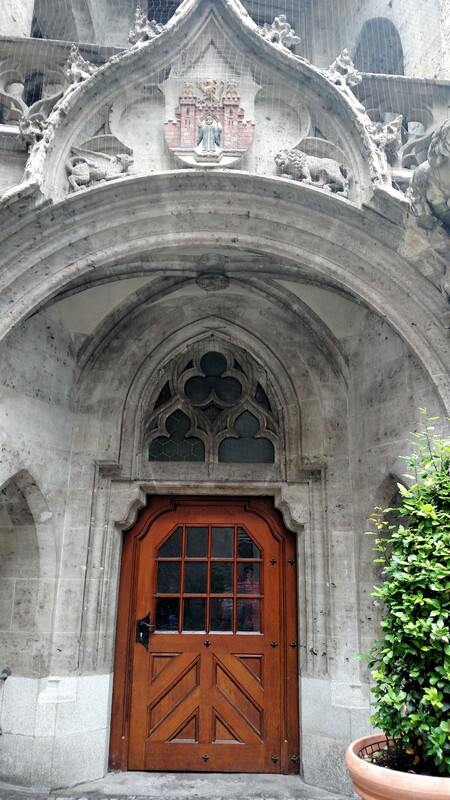 Entrance to the Rathaus (aka Town/City Hall). I would happily work for the city with an entrance like this. 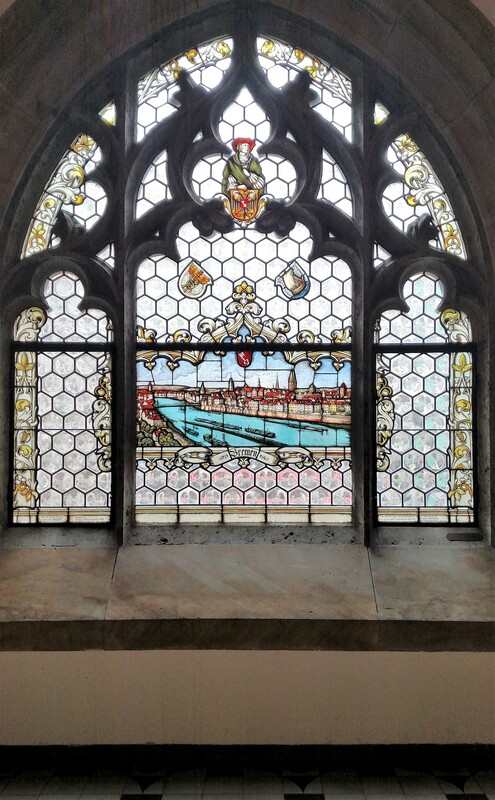 One of many stain glass windows inside Rathaus ❤ I bet they look incredible when the sun shines on them. 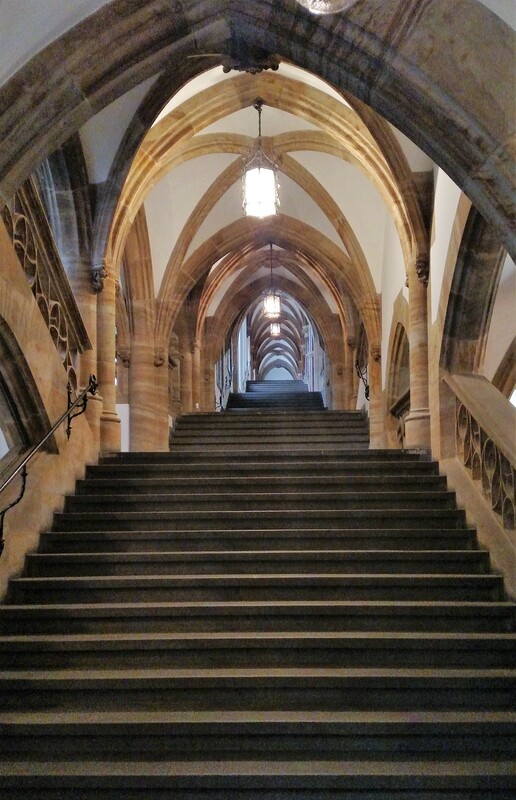 Don’t get me wrong, the architecture is glorious! But, I would have liked to see more. 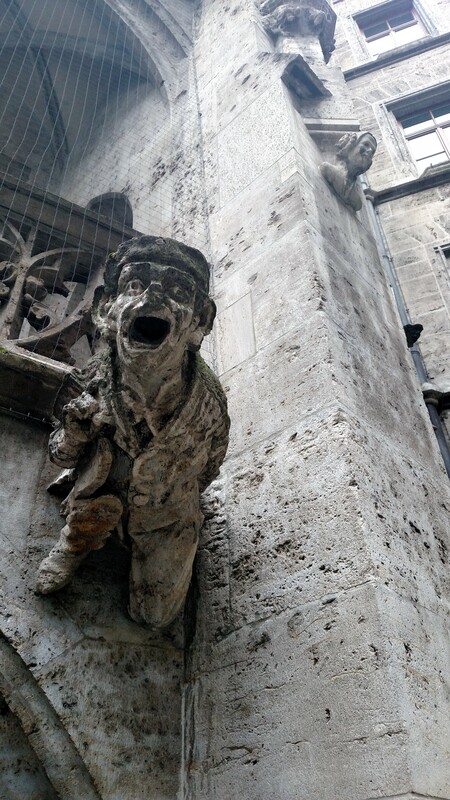 In a day, Munich was meh. Spending more than one day here would be best…there is SO. MUCH. CHARACTER! One day just isn’t enough. 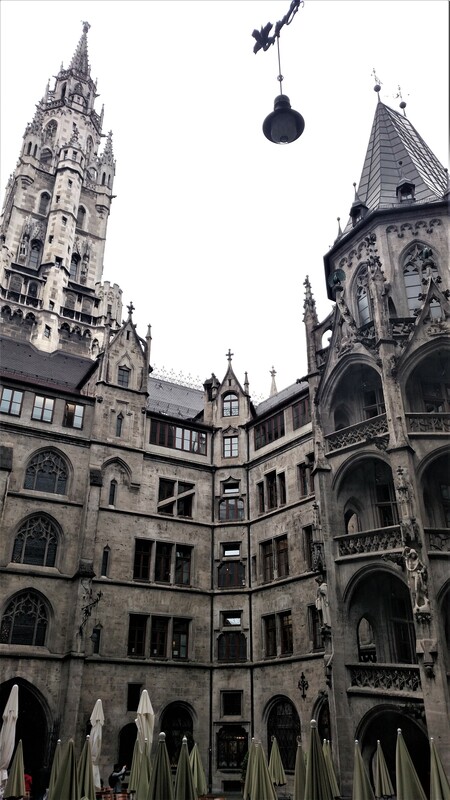 Have you visited Munich? What was your experience?